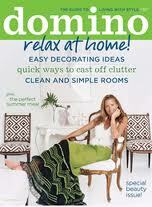 I do not know about you but I was an ENORMOUS fan of Domino magazine. I still have stacks of old issues and I am not one to keep old magazines (or actually anything for that matter). When Domino was published, it mastered the combination of fresh and exciting. They would feature a beautiful antique dresser next to a table from Ikea. Domino’s concept was revolutionary. They would publish where you could purchase the item and the price. Prior to this, most interior magazines featured beautiful high-ticket price point items and the rooms were designed by elite designers. Often times the item you admired was not listed. The magazine was closed when U.S. economy encountered challenging times in 2009. As I understand, they were successful and won many awards but due to the fact they were a young magazine they just did not have enough history on their side. Deborah Needleman the editor in chief went to WSJ magazine and did an incredible job updating that publication. Currently she is adding her style and expertise to the T The NY Times Style Magazine. Michelle Adams was part of the team at the original Domino and when it closed she created Lonny. 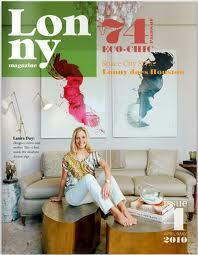 Lonny was one of the first online magazines. The new Domino magazine will be published quarterly and only sold at newsstands. 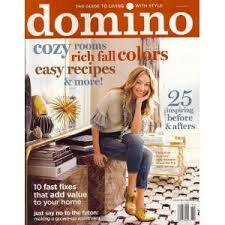 Conde Nast tried to bring back Domino last year but was using all old material; it was not well received. Conde Nast is only one of three investors in the new publication. All the material will be new in the current magazines. The new concept is an e-commerece. Domino is a website first accompanied by a magazine. Some of the items features are exclusives to the magazine. The editor in chief is Michelle Adams. I spent sometime this past weekend on the Domino website and I am pleased with the website/magazine. They feature Rita Hazan’s and Ali Cayne’s (founder of NYC Havens Kitchen) homes. Below is the new cover. I wish the team at Domino the best of luck. It will be interesting to see if the e-commerce magazine concept is a success. I hope it is. I think everyone in the design field is cheering the Domino team on. I know I am. 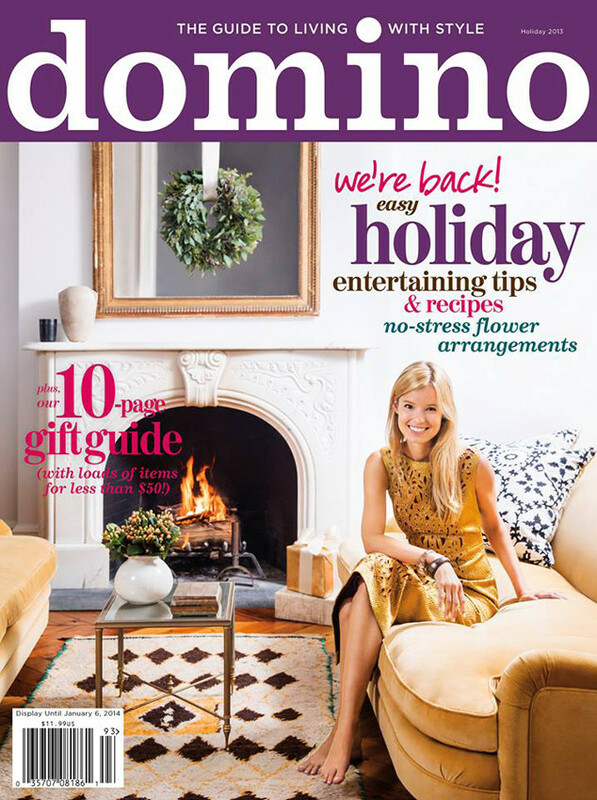 My sister-in-law used to write for Domino – how fun that it’s being revived! I am not familiar with this magazine but now you’ve piqued my curiosity! I will check it out and keep you posted.